Presentation of the Gospel to a Follower of Islam Research Papers present the gospel in a way that could help someone come to a saving faith in Christ. This is a topic suggestion for a world religion course that requires an academic research paper that is a presentation of the gospel to a follower of Islam. This IS NOT to be a comparison/contrast paper, but should be a presentation of the gospel message of the Bible. Present the information in a way that explains the Biblical gospel to someone completely unfamiliar with the teachings. This research paper should inform the Muslim of what the teachings of Christianity are without being offensive or confrontational. Does the paper show a clear plan to present the gospel? Does the paper have clear transitions between thoughts? Is the paper written on a college level? Does the author show a true knowledge of the subject matter? Is the paper a representation of the author’s approach and ideas or is it borrowed from somewhere else? Does the paper address the issues relating to the religion of Islam? Does the paper have an appropriate introduction and conclusion? Does the writer have a sufficient understanding of the topic? Did the writer follow a clear format style (MLA)? Is the bibliography done properly? Islam and Christianity developed out of the doctrines of two men, Mohammed and Jesus Christ. The former claimed to be divinely inspired; the latter claimed identification with the deity itself. Both founders recognized the value of, and made use of, Jewish scripture. The former claimed to be the last in a succession of Semitic prophets (which included Jesus); the latter claimed to be the Messiah foretold in Jewish writings. Mohammed’s movement encountered early difficulties among the Arab tribes, in particular the supporters of the Koreas family. As his movement spread it came into contact with the Persians to the East, the Byzantine Empire in the North and West, the Berber tribes further West, and the Goths in Spain. Because of their own military virtues, and the decadence of the military virtues of their opponents, the believers in Islam enjoyed triumphs that eventually took them far to the East, North to the gates of Vienna, and up into France in the West. Muslim Faith research papers examine Islam, the monotheistic religion that worships the God of Abraham. Islam and Democracy - A book review on Islam and Democracy points out that the authors contend that the modern political institutions in Islamic nations contain a strong element of democracy that is manifested according to local conditions and the boundaries of the existing nation-state system. Islam in Syria research papers specify that Syria is a deeply religious nation, with all three of the most important world religions identifying Syria as a part of their tradition. Quran and Bible research papers explore the differences between the Quran and the Bible. Islamic Fundamentalism research papers provide an exploration of the motivations behind militant Islamic fundamentalism. Sunni Islam research papers analyze the largest religious denomination in the world that is frequently characterized as the orthodox version of Islam. 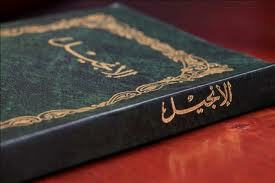 Jihad research papers examine the Arabic term that describes the religious duties of Muslims. Abu Bakr research papers look into the life of the companion and father-in-law to the Prophet Mohammed who became the first Caliph of the Muslim empire. Religious Violence research papers look into the history of violence in Islam, Christianity, and Judaism. Al-Qaeda research papers examine the Islamic militant organization founded by Osama bin Laden between 1988 and 1989. Judaism and Islam research papers examine the naming rituals and funeral practices of the two religions. Muslim World research papers academically compare and contrast the Muslim World to the Christian World. Women in Islamic Society research papers examine the role of women in Islamic society. The Islamic Culture have distinct and long-held traditions on dress that apply even in the business environment, especially for business women. Interview a Muslim Research Papers preview a sample of a religion research paper on a Muslim woman. Old Testament research papers discuss the Bible and Christianity and how the Old Testament applies to Christians today. Christian Theology - Christian Theology custom research papers look into the intellectual and philosophical construct through which the ideas and dogmas of Christianity, one of the world’s three major faiths, are expressed. Christian Church - It is a broad and diverse mix of denominations whose foundation is based on Jesus Christ and His teachings. Judaism - Research Papers on Judaism and religious studies. Paper Masters writes custom research papers on Presentation of the Gospel to a Follower of Islam and present the gospel in a way that could help someone come to a saving faith in Christ.